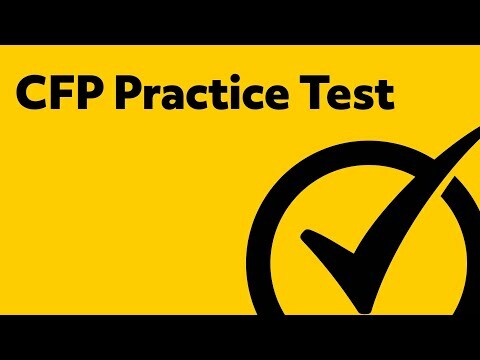 The Certified Financial Planner (CFP) exam is a rigorous test designed to measure a candidate’s core competency in the knowledge, processes, and ethics required of a professional financial planner. When Should I Register for the CFP Exam? There are three available testing windows, each lasting eight days. Those windows are in March, July, and November and they each have a three month registration window which closes two weeks before the actual exam week. The fee for the exam increases the longer you wait to register. If you register within the first six weeks of the registration window, the fee is $595. If you register between two to seven weeks before the registration window closes, the fee will be $695. If you register in the last two weeks of the window, the fee is $795. So, the earlier you register the better, not only because it will be cheaper but because you’re more likely to get your first choice of testing date. However, by the day of the exam, you must have completed a CFP Board-Registered program or the equivalent coursework. While you will be able to register for the exam before completing your program or coursework, you won’t be allowed to actually sit for the exam until you’ve completed it. So make sure to choose a testing window that occurs after you have finished. What Will the Day of the Test Be Like? On the day of the test, you will need to bring a valid, government issued photo ID such as a driver’s license, passport, state ID, or US Military ID. You should also bring a battery-powered, non-programmable calculator intended specifically for financial functions. Your appointment will last approximately seven hours. This includes two 3-hour testing sessions, a 40-minute lunch break, and time to complete the check in and security clearance. What Subjects Are Included on the CFP Exam? This differs from many certification tests in that you won’t really be tested on your ability to recall or recognize facts. 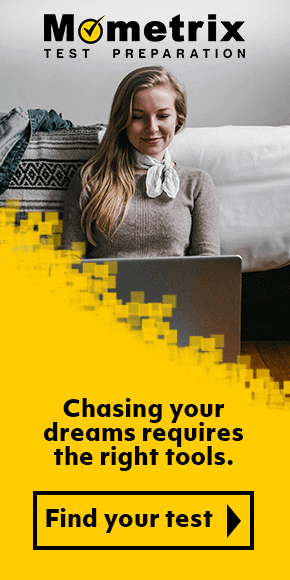 Instead, you’ll be presented with realistic financial planning situations and asked to demonstrate your critical thinking and problem solving skills. This is a pass/fail exam which means that the exact score you get does not matter, as long as it is at or above the cutoff. You’ll find out your results at the testing center immediately after completing the exam but you’ll have to wait about four weeks for your official score report to be sent to you by mail. If you did not pass, you will receive a diagnostic report to help you see where your weaknesses are and how to improve for your next attempt. If you did pass, you will simply receive instructions for the next steps in the certification process. How Should I Study for the CFP Exam? Using the Mometrix Study Guide, work through the comprehensive review of the material, making a conscious effort to think about real-life scenarios where the material might apply. 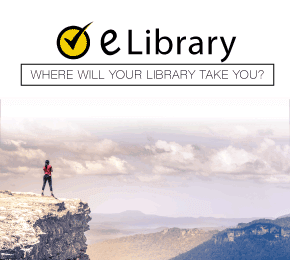 Once you have gone through all of that material, take advantage of the practice test questions included in the guide. Along with that, you can further develop your critical thinking and problem solving skills by using Mometrix Flashcards to quiz yourself. Each card will provide an essential principle so you can make up a little scenario or problem where that principle would come into play. Then, you work through the additional practice questions that come with the set of flashcards. 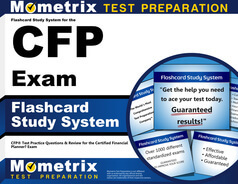 Mometrix Academy is a completely free CFP review resource provided by Mometrix Test Preparation. If you find benefit from our efforts here, check out our premium quality CFP study guide to take your studying to the next level. 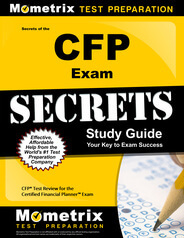 Just click the CFP study guide link below. Your purchase also helps us make even more great, free content for test-takers.